Texting and mobile connectivity is incredibly seductive. Brain science tells us that the brain can become addicted to the stimulation of the tap and click connectivity of social media and other apps, such as gaming. So it takes a disciplined mind to not allow the smart devices to be the thing that governs our attention span in life especially when it comes to driving the car. The texting while driving temptation represents the seminal question of the digital age: Who is in charge? You or the device? • Be the example. Model the cyber-safe driving behavior you expect for your teen. From the time you strap your infant into the car seat, you are training your child how to drive a car by your example. The use of seatbelts, honoring traffic laws, and your focused attention on the road while behind the wheel are behaviors that can be reinforced by conversations about the distractions. So while you are driving, make sure that you put away your device, or have your child or respond to incoming texts or calls on your device if need be during long drives. Or pull over to respond if need be. The main thing is that your children witness you paying full attention to your job as the driver to get everyone to your destination safely. • Don’t text/call your child when you think they are driving. It is better to have your teen contact you at designated times or destinations if you need confirmation that they safely arrived somewhere. And be clear with your child that you do not expect them to respond while they are driving. If your child is not responding to your texts (when they are not driving), and it is frustrating you, then it is important to have a conversation about it. And express your curiosity (without condemning) about why they are not responding, and give them a chance to answer. You may learn something that will help you improve communication. Examining motive is very helpful. Usually fearful and manipulative feelings kill open communication. • Identify tools to help keep texting life purpose-driven. Have your teen do the research with you for tools that help manage texting life to put aside the device while driving and/or other important things like studying and family time. One good example is OtterApp, text life management app to organize text communications and schedule downtime. Make the conversation bigger than texting and driving. Open up dialogue about tools that help you be the one who is in charge of how you manage your attention – make texting and social media serve your purposes in family, school, friendships and hobbies. 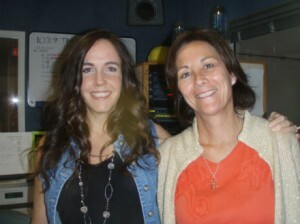 Posted in addiction, Family, Internet Safety, Parenting, Social Media, Teenagers, Texting, The Fish 103.9FM Cyber Tues.